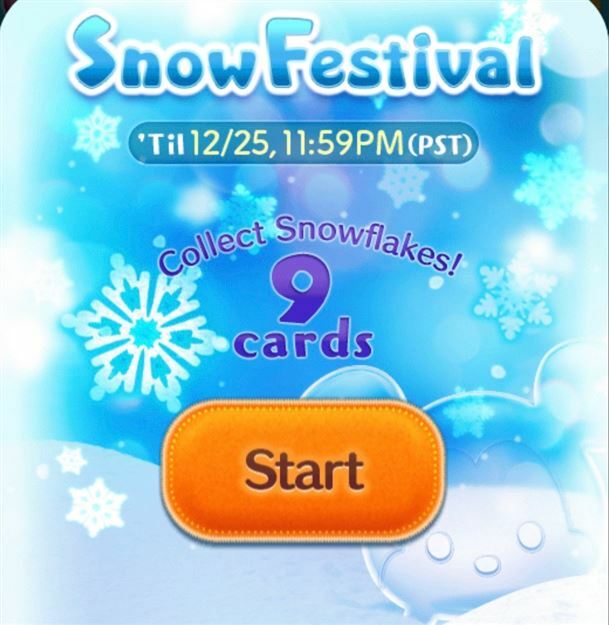 The Snow Festival special event for the International version of the game is finally here! We have put together this page to help explain the event and give some helpful tips and tricks about how to win the event! 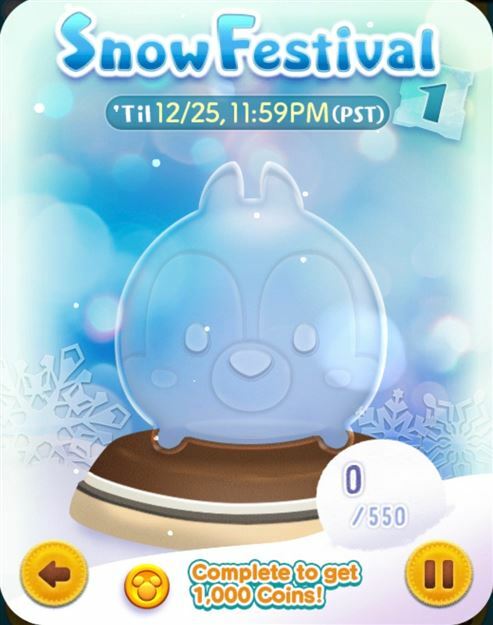 After you have collected snowflake points during a game the snow dome on your will start to fill up with those points! Once you completely fill a card's snow dome you will get the card's prize and move onto the next card. 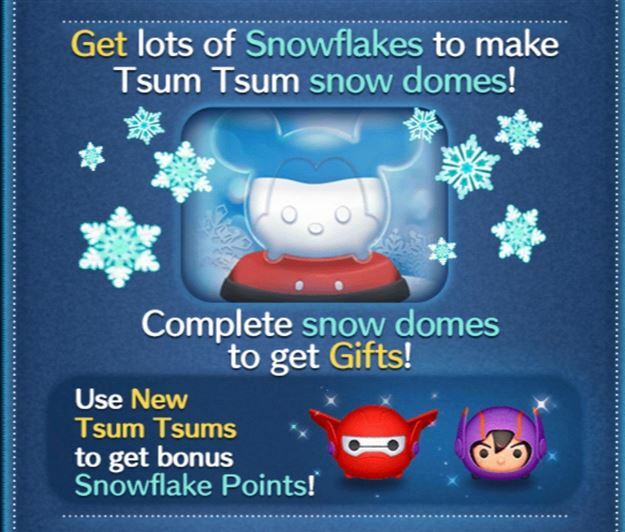 If you use one the of two new Big Hero 6 Tsum Tsums you will get bonus Snowflake Points! 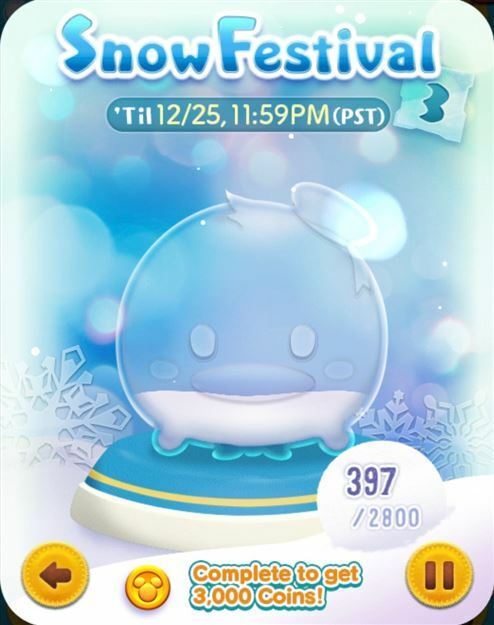 Once you have completed a card, in addition to getting the prize, the Snow Dome you filled up will be added to your collection. 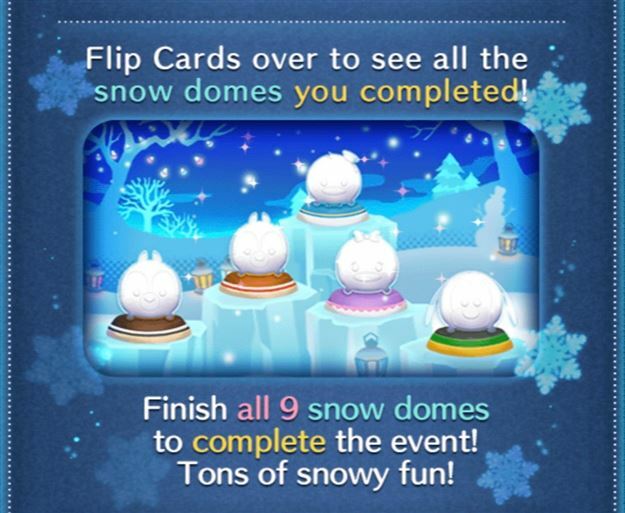 You can flip over your card to see the Snow Domes you have completed. If you have a lot of friends who send you hearts constantly you probably have a ton of extra hearts. Now is when they become really useful. If the left most heart on your heart list is not an Ice Heart you won't get as many snow flakes while playing. To "skip" past the normal snow heart you can start the game, hit pause, and then click the "Try Again" button. 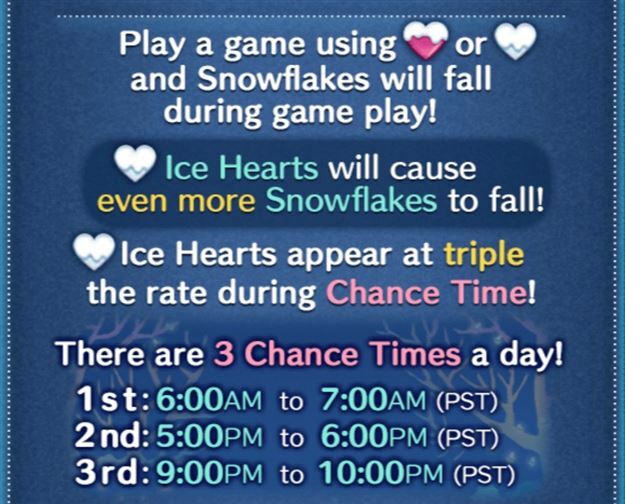 This will take you back to the game start page and that normal snow heart will have been used! 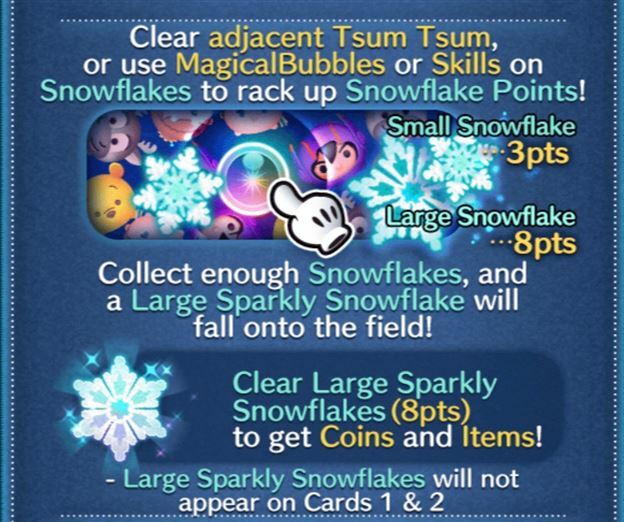 Discuss the Snow Festival Event!